This young man has been deprived of hope and of a future in society because of one mistake. Even if the nature of his crime is very discreet but circumstances question the scenario of his role of the crime. There was a murder that took place in chester south carolina in the year 2013. Marqueas was only just turning 18 at the time of the crime. His participation in this tragic event was relatively minor and he still got the same amount of time as the shooter and mastermind. His crime was labeled as a murder for hire of Jimmie diane Paul. News records show that society clearly had in their minds that he was already guilty due to a forced confession of being on the scene of a crime while it took place with prior knowledge it was to take place. Words quoted from marqueas on the date he accepted a guilty plea after his original lawyer was killed by his own son, " I'm sorry for my participation in this tragic event and I dedicate my life to bringing more good out of the negativity I've caused. " marqueas stood in court in tears as he strongly accepted his life being taken away at such an young age. He's expected to be released in the year 2043. It makes no since yo see this young man do so much good while hes there in prison helping kids steer away from gangs and the street life. Hes participated in the "Beyond Scared Straight program" twice and also hes in the " behind bars operations " at the institution hes being housed in. Even though he has the mandatory minimum sentence for his charge of murder, the community at which the crime took place feels different that he doesn't deserve to be charged with murder all because he knew a crime would take place and he was there but didn't participate in anything but to flea the scene for his life. This young man is on the verge of giving up in life being oppressed everyday by state officers treating him as a killer when he tries his best to be a understanding, intellectual, and respectful. 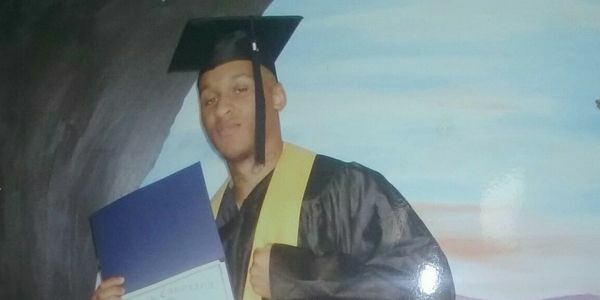 This young man has tried taken his own life 3 times during his period of being incarcerated. Prison is supposed to be about rehabilitation not destroying our men and wemon. This petition is for opinions as to rather he deserves the amount of time he has and the charge he has due to circumstances. Feel free to comment and speak your mind. This young man is an inspiring person to the world because of his music and his way of words and always making something positive out of something so negative. All opinions matter please feel free to speak your mind.